I wonder if anyone has ever walked into this church (below) and been like, “meh”. I’d like to check their human status to see if they are perhaps an alien. Wonder is a fascinating thing to think about. We know humans wonder. Do animals wonder? Do animals experience awe? That certain smallness you feel when you are standing in front of something so much bigger than yourself that puts things in a different perspective. You’re not so much inside of yourself anymore, thinking about your own ego or largeness. Awe and wonder captivate you in something grander. A certain feeling of peace usually accompanies this experience as well. You are the moment. This is why. This saying below has stuck with me ever since I heard it and I hope I never forget it. 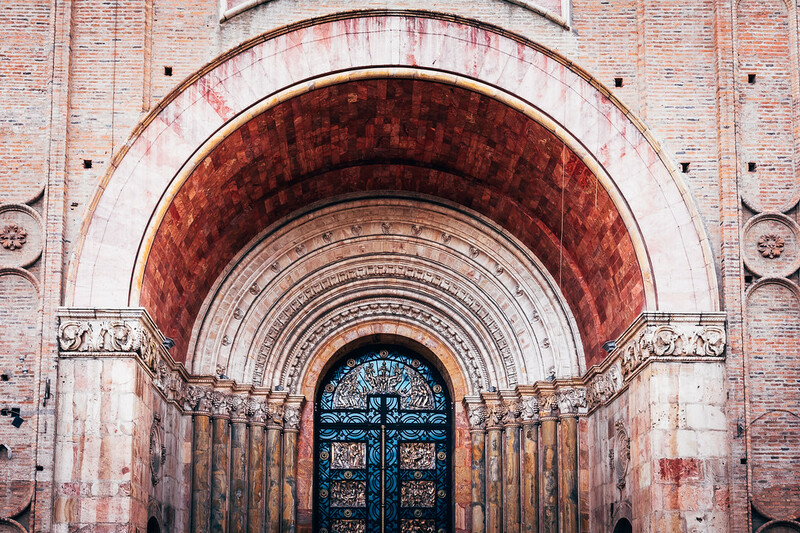 For the non-church goers in the crowd, these Ecuadorian churches are still worth respectfully ducking in to experience that awe.